Robin Weingarten Campaign volunteer in Ohio, CAEF member. Grace Ross CAEF member, Truth In Elections member. I ADMIRE those standing out in the cold to publicize the fact that our electoral system is broken, but I think the reporter's angle was misguided ("Group holds fast to Kerry cause with Beacon Hill vigil," City & Region, Dec. 29). The focus was on Kerry supporters and their fight to allow him to be president. What the Coalition for Election Fraud seems most concerned with, as are tens of thousands of Americans, is making sure everyone's votes count. There are now several legal challenges to certifying the Ohio vote, including one joined by the Kerry camp based on allegations of a voting machine company rigging the recount. 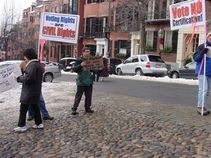 With privatized electronic voting controlled by secretive Republican-leaning corporations, voting software that is pathetically hackable, widespread voter suppression, minority voter disenfranchisement, avowedly partisan secretaries of states, and this year's suspicious exit polls, perhaps there should be a lot more people out in the streets. This isn't about Kerry. It's about something more important. Tovia Smith of NPR's Morning Edition interviewed several vigil participants for nearly an hour at Tuesday's vigil. We expect a short piece Weds am. Let's hope it does air. 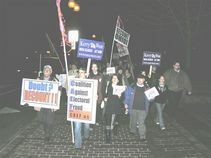 Day 8 of Coalition Against Election Fraud vigil outside Senator Kerry's home, BeaconHill, Boston, 1/4/05. Last night at our Rally for the Republic in Boston, David Lytel repeated his claim that Senator Barbar Boxer (CA-D) will join House Members to make an objection to the Electoral College vote. A number of people asked Lytel about this afterwards, including William Rivers Pitt, who reports the following on his blog, FYI. After a series of telephone calls, the aforementioned story regarding Tubbs-Jones and Boxer stands just about where you'd figure. Senator Boxer is definitely considering offering a challenge to the Electors. If she actually decides to do so, however, she won't break cover until Thursday. That is, frankly, wise. To do otherwise would be calling down the thunder on herself and her staffers. I couldn't get anyone to go on the record to confirm Lytel's statement that Rep. Tubbs-Jones can get Boxer to stand up just by asking her to do so. At the end of things here, Lytel's claim last night (which I am told he has repeated to a number of other blogs) is just going to hang out there in space until it is proven true or false. 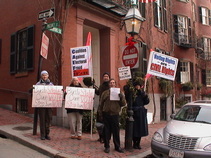 Day 6 of Coalition Against Election Fraud vigil outside Senator Kerry's home, BeaconHill, Boston, 1/2/05. Washington, DC, Jan. 3 (UPI) -- Electoral-reform advocates and protesters who allege the Nov. 2 election was either rigged or marred by widespread irregularities are launching the last desperate measures to effect change before Congress certifies the Electoral College vote Thursday. Citizen Web logs, which have largely sustained the calls for vote recounts, are leading a frenzy of activities including rallies, vigils, online petitions and mass e-mail messages as the Jan. 6 deadline looms. Citizens calling for Congress to launch an inquiry into the vote before certifying it face the same hurdle as the 2000 election, in that a member of each chamber of Congress must call for the inquiry. Rep. John Conyers Jr., D-Mich., spearheads a group of more than a dozen members of the House in calling for a recount, but so far no senators have stepped up to the plate. 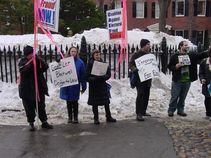 Massachusetts native Sheila Parks has set up vigils in front of Sen. John Kerry's residence in Boston, which she said are attended by 10 to 15 people each day. Parks also is part of a delegation that is scheduled to travel to Washington Tuesday to make its case personally to a "dream team" of senators they think might be willing to hold up the vote certification. Her group, Coalition Against Election Fraud, also is scheduled to meet Wednesday with representatives from Kerry's Senate office, who they will give copies of online petitions, letters and postcards from supporters and citizens asking Kerry not to certify the vote. Despite their efforts, Parks said she is not sure what will happen Thursday when both chambers of Congress convene to certify the vote. "I wish I had a feel for how it was going," she said with a sigh. "It depends what minute you get me." Parks said her group was not composed of conspiracy theorists or diehard Kerry supporters, but of "very concerned citizens" who believe the election was fraudulent. "The cornerstone of American democracy (is) one person one vote ... so our democracy is destroyed as far as we're concerned," she said. It is the same requirement that stymied calls for an investigation into the 2000 election results, when members of the Congressional Black Caucus appealed to their Senate colleagues to no avail. 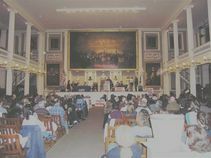 The session was presided over by Vice President Al Gore, who had lost the Electoral College vote and, it was later reported, asked Democratic senators not to contest the vote. Supporters of the recount effort were dealt a blow last month when Ohio's electors certified that state's vote. 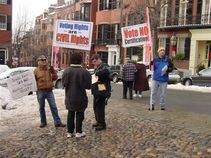 Despite that, however, groups rallied Monday in Columbus to continue pressing their calls for a recount. A consortium of civil-rights groups, the We Do Not Concede Coalition, was scheduled to head out with disenfranchised Ohio voters on a "Freedom Ride" from Columbus to Washington. "There's a real human side of this," said coalition Director Kat L'Estrange. "These people were kept from voting and they were kept in lines for hours and it was terrible the way they were treated. ... We're going to put a face on the issue." A spokesman for Sen. Richard Durbin, D-Ill., one of several Democratic senators named on blog lists as a possible candidate to repudiate the vote, said he was out of the running. In response to an e-mail message from a friend involved in the recount movement, Durbin thanked him for his interest but wrote that with the Ohio vote certified, "It is clear that Sen. Kerry was correct in announcing his concession on November 3rd." "The basic test hasn't been met," said spokesman Joe Shomaker. "There is no compelling evidence of massive voter fraud." He added that Durbin is a strong proponent of electoral reform and supports abolishing the Electoral College but said that "tilting at the windmills" about November's outcome would not help his credibility on the issue. No amount of petitions, faxes or phone calls would likely change Durbin's stance, he said. 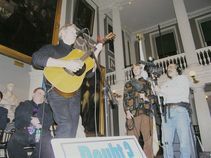 A spokeswoman for another possible ally, Sen. John Kennedy, D-Mass., said it was a time "to come together as a nation, not to further divide it." Kennedy had not been contacted by protesters, she said, but added the senator expected the election results to be certified on Thursday. A spokesman for Sen. Barbara Boxer, D-Calif., meanwhile, said the office had received a number of petitions Monday but would not comment on how Boxer intended to vote on the certification. Parks said she couldn't imagine why no Democratic senator had stepped forward. "Maybe it's what we always said, that once they get in there they lose their integrity," she said. But if no one does so, she added, she was going to start voting Green. Attempting to put the 2004 Presidential election in its proper context, we examine voting rights struggles of the Civil Rights Era, the theft of the 2000 Presidential election in Florida, digitization of voting and vote-counting, and voting rights violations and disenfranchisement in Ohio in 2004. This movie night will support the efforts of the Coalition Against Election Fraud (CAEF) locally, and other groups nationally, working to challenge the certification of the vote on January 6th in the Joint Session of Congress. The media whitewash on these vital issues forces us to find other means of communication to expose the systematic, racist, and illegal violations of our fundamental right to vote. Discussions and action steps will follow the viewings.